Malta is an archipelago in the central Mediterranean. The three largest islands are: Malta, Gozo and Comino. Malta has a Subtropical–Mediterranean climate. The average temperature ranges from 14,1 degrees in winter (November – April) to 32,0 degrees Celsius in summer (May – October). The beginnings of civilization in Malta are dating around 5200 BC. The first settlers probably arrived from Sicily. 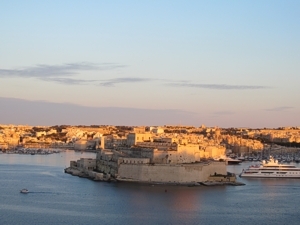 Malta’s location has given it great strategic importance throughout history. Malta passed from hand to hand. A succession of powers including the Phoenicians, Carthaginian, Romans, Arabs, Normans, Aragonese, Habsburg Spain, Knights of St John, French and the British. In 60 AD a ship carrying St. Paul as a prisoner to Rome was shipwrecked on the island. 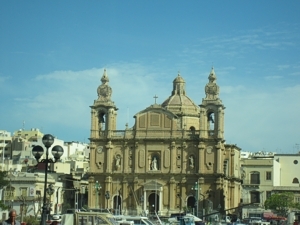 St. Paul converted Malta to Christianity. In 1530 Emperor Charles V gave the island to expelled from Rhodes the Knights of Malta in perpetual lease for which they had to pay Tribute of the Maltese Falcon. In 1814 the Congress of Vienna established the Malta British colony. In 1947 Malta has obtained internal autonomy, and in 1963 was proclaimed the creation of Maltese Land. The Republic of Malta was proclaimed on the 13th December 1974. Malta joined the European Union on the 1st May 2004. 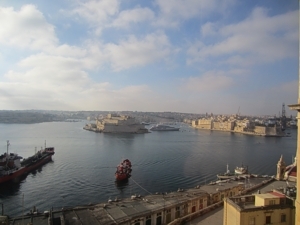 The tourism is the main branch of the economy of Malta. Malta, approximately 408333 residents, is annually visited by 2 million tourists. Authentic Maltese cuisine is Mediterranean cuisine. However, the presence of the British on the island introduced steaks, apple pie and fried fish and chips. The proximity of the Italy resulted in dissemination of pasta dishes. Malta is considered to be the most Catholic country in Europe (apart from Vatican City). Approximately 98% of Maltese are Roman Catholics. 52.6% of faithful practice which is absolutely unique in Europe.